“The V164-10.0 MW has a rotor diameter of 164 meters and 80 meter blades, which weigh 35 tons each. MHI Vestas is a joint venture between Vestas Wind Systems and Mitsubishi Heavy Industry. Launched Tuesday, the scale of the turbine is considerable. The V164-10.0 MW has a rotor diameter of 164 meters and 80 meter blades, which weigh 35 tons each. One turbine is able to power 5,977 German homes. 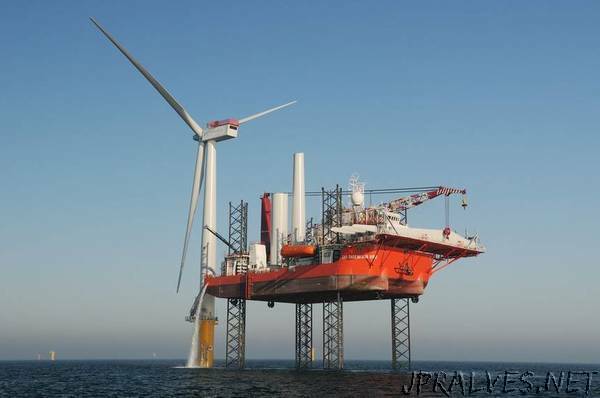 It has been designed to run at full power at locations with wind speeds of 10 meters per second, for 25 years.